Mountain Bike Mayhem has lauched a 100% Mayhem street line, for PROUD Mountaintain Bikers to show the world they are proud to be a mountain biker. 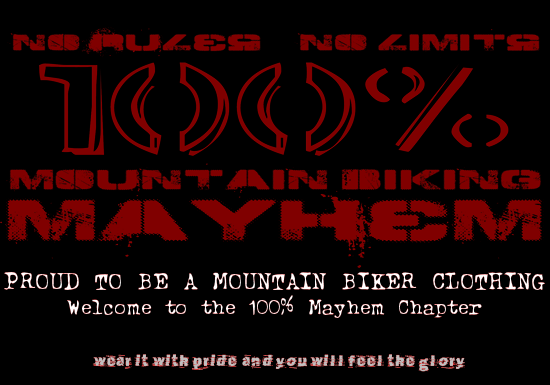 Wear 100% Mayhem with Pride, and you will feel the Glory! !